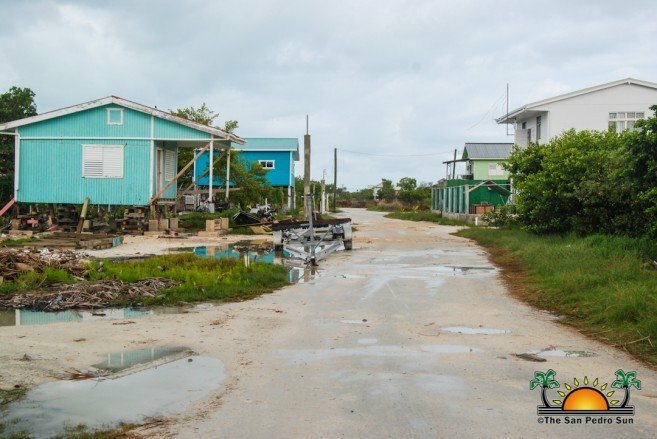 The lack of enforcement, support, and disregard for local authorities on La Isla Cariñosa has the Caye Caulker Village Council (CCVC) in a desperate situation as they try to set order on their island, despite residents and stakeholders not complying with regulations. The CCVC is contesting the use of public spaces, construction of unauthorized structures, importation of vehicles, improper sewage waste disposal and even the building of piers that threaten to saturate their coastlines. The elected leaders claim that they have made reports to the respective departments in Central Government for assistance, but their pleas have fallen on deaf ears, with the situation growing worse by the day. The CCVC shared these concerns with The San Pedro Sun emphasizing that their complaints have nothing to do with politics, and they are desperate to find solutions to their aggravated problems. 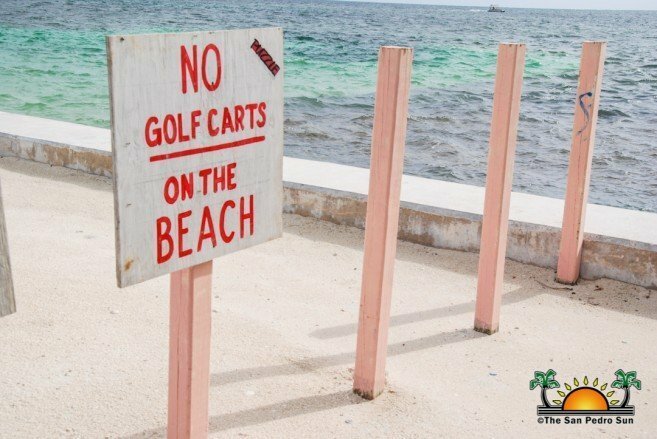 According to them, one of the problems is that the beach areas in Caye Caulker are now being treated like private properties and restaurants and hotels are restricting its use to locals or even visitors. Many of the beach areas are fenced, and signs are seen indicating that the area is for the exclusive use of a given property. But according to the Ministry of Natural Resources (MNR), all land up to 66 feet from the high water level is considered national land or ‘Queen’s Land.’ This means that such areas are to be kept accessible to the public. Another issue is the gating of piers and restricted public access. 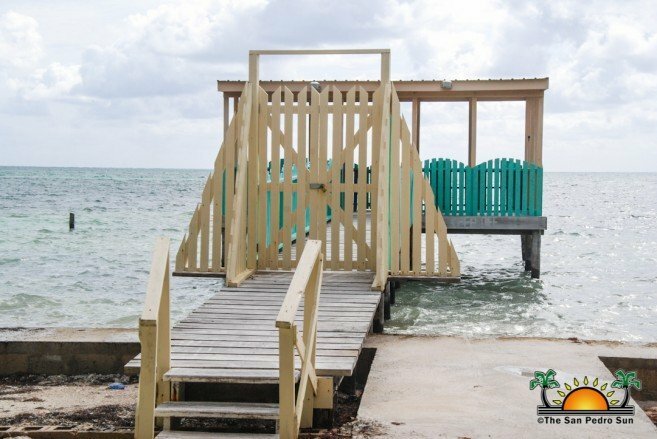 These structures are built on the seabed, which is also considered public land and therefore should be accessible to everyone. According to MNR, dock proprietors can lose their building permit and may be ordered to dismantle the structure if they fail to follow these regulations. The CCVC states that they have addressed these issues with the respective authorities at Central Government, but nothing has been done. The island authorities also complain that when it comes to building piers or buildings they are not consulted, or their opinion is disregarded. “We believe that we have been blatantly disrespected as most projects that we do not support are approved by influences in higher government offices,” said one concerned member of the CCVC. They claim that since taking office almost three years ago, several four-story buildings have been built on the island. The Village Council does not support such standard of building, but they are approved and given the go-ahead by Central Building Authority on the mainland. 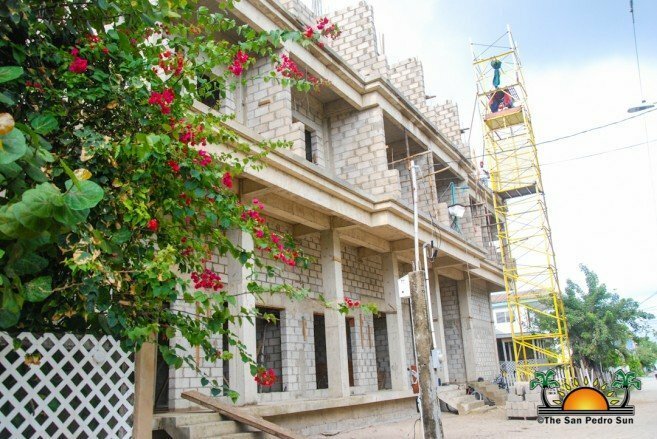 “Not only do they override our power, but many of the times the end product of the construction is different from its original design, and yet, no one is there to make sure they build what they are supposed to build.” Currently, another four-story building is going up, and the CCVC is powerless. The frustrated members of the CCVC expressed that such building standards not only affect the congestion of the small village but add a strain on the environment. The Council has also been trying to get assistance to create a program to get rid of waste that is produced by these large structures. But no assistance has been given to them, not even from the Area Representative Honourable Manuel Heredia Jr, who they claim overrides their decisions at times. 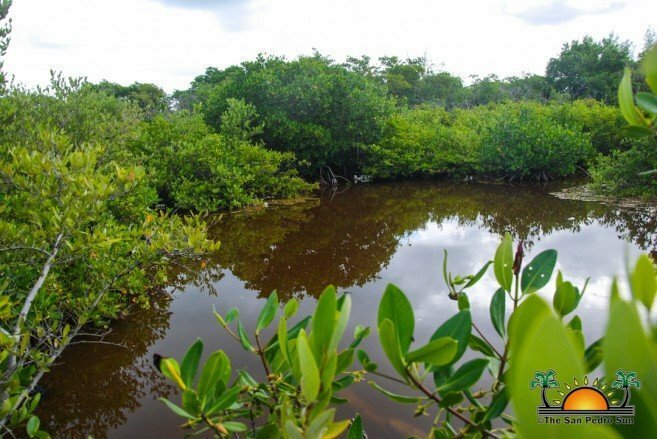 “Most of these places are hotels and restaurants, and they are dumping their sewage waste right on the lagoon side by the mangroves,” said a member from the CCVC. It is being reported that during the night, certain businesses on the island dump their sewage waste on the western side of the island, near subdivisions like Bahia where it is believed to be seeping into the water bed. “Many persons still use wells over here to access fresh water and with this irresponsible way of dumping waste it is believed that some of these wells are contaminated.” Again, the CCVC stated that they had reported such ongoing incidents to the environmental authorities but no avail. “They always say that their staff is very small and if they end up coming, no enforcement or follow-ups are done, and people resort back to the bad practices ignoring our regulations.” They warned that things could get bad regarding health issues if nothing is done as in certain areas of the island, where strong sewage stench prevails. The lack of planning for subdivisions was also brought up, particularly the area of Bahia which it is not being treated as a residential subdivision. The CCVC would also like to see fewer liquor licenses being issued, but more and more applicants are getting them against the will of the Council. "Alcohol is causing lots of problem on the island. It is not a good role model to have a community where alcohol is so accessible. This leads to crime as well, and when there are emergencies at the polyclinic, we are the ones that pick up the bill, so we do not want any more places getting liquor licenses, but our authority is not respected.” Another issue that the Village Council cannot control is the issuing of vehicle permits. “Some people do not even come here, because they get approval from the Minister of Transport.” The Minister of Transport, Honourable Edmond Castro has apparently dissolved the former traffic committee, which was mainly manned by Hicaqueños. Castro has installed now a new committee, and most of the members are from the mainland, leaving the CCVC powerless. More vehicles are coming to the island, and the CCVC are unable to stop it. They feel that their presence has not been respected as it should be and with all the limitations imposed by the Ministers and other governmental entities, they are unable to move the island forward. The current CCVC will end its tenure in June of this year and are proud of all that they have done with the little resources they have. They indicated that without interference from the Central Government, a lot more could be done. The CCVC is demanding respect and wants to be involved in all decisions regarding the well-being of the island and all Hicaqueños.